Made of Sapele with Ebony inlay and a dye stained/lacquered finish that is then hand rubbed out. 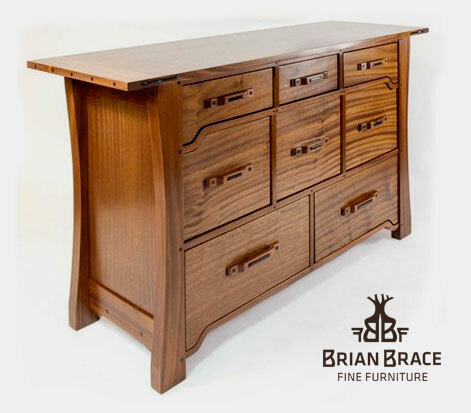 A solid matched top with breadboard ends, this piece is made completely of solid wood including the panels and drawers. 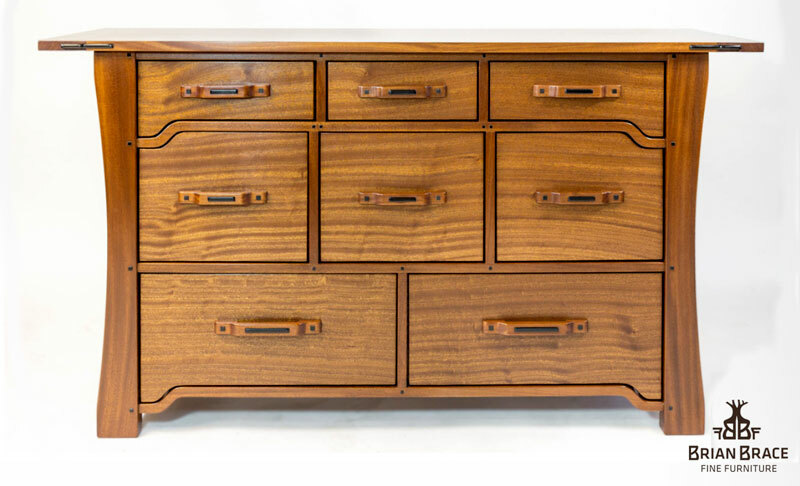 Each drawer handle is made from a solid piece of wood that is hand shaped. All drawer fronts are matched giving the piece its stunning lines. Piece can be customized to fit your needs. Shipping not included.